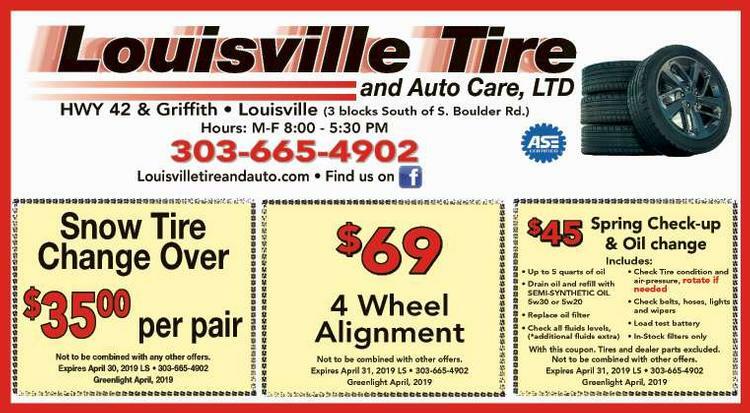 Louisville Tire & Auto Care provides outstanding tire and auto repair services in Louisville, CO.
We’ll have you driving away in no time! 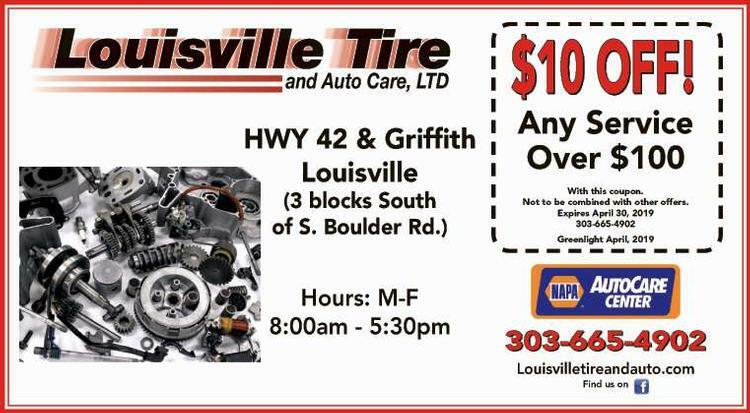 Services include: new tires, routine maintenance, oil changes, brake services, engine work, and more. We can repair pretty much anything! We also offer a local shuttle, and a waiting room with drinks and free wifi for your convenience.